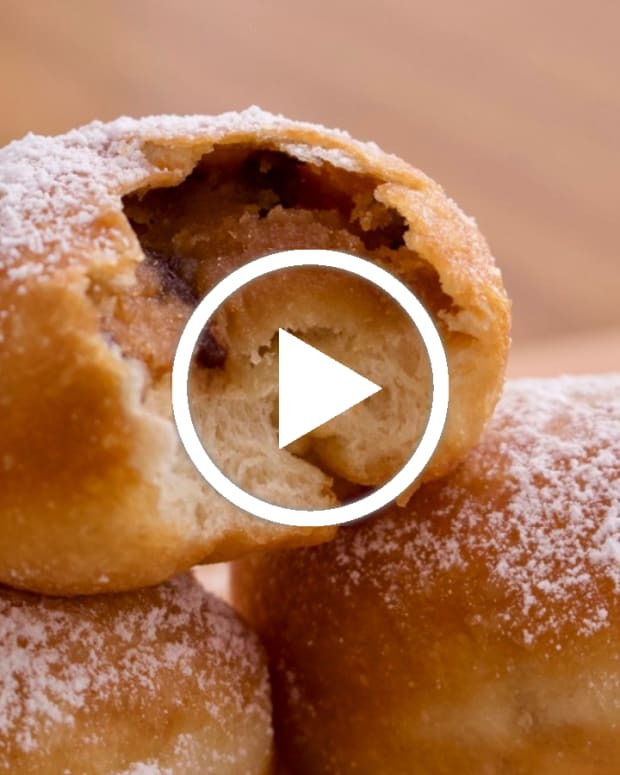 Jamie visited Biscotti Bakery in Israel and went behind the scenes to show us all how to make the best sufganiyot for Chanukah. 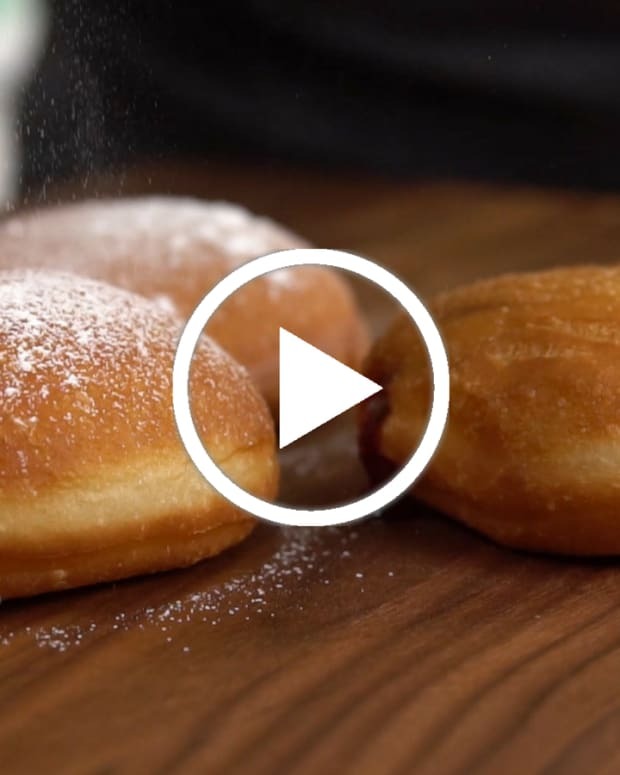 Watch the video to get all the topping and filling ideas for the 2016 season. 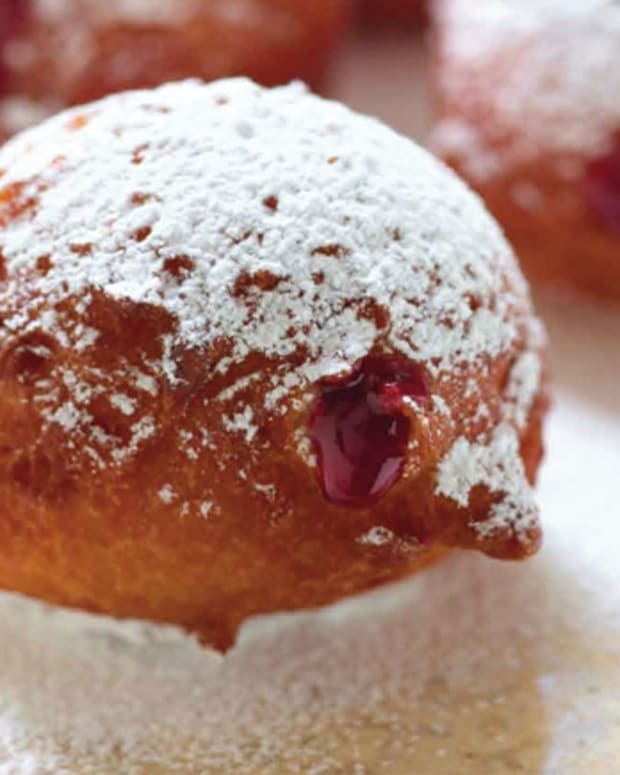 To keep the sufganiyot&apos;s shape while frying, use chopsticks to flip doughnuts. 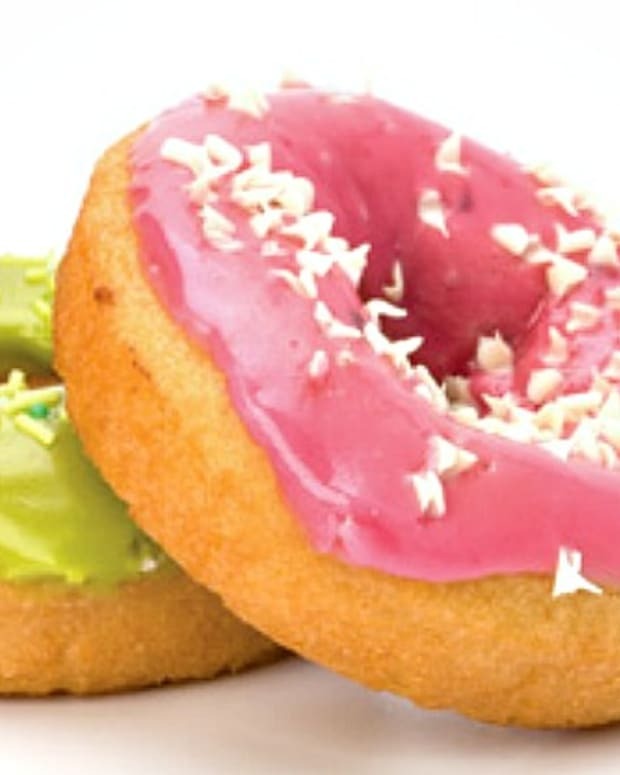 This keeps the delicate doughnuts from getting crushed and reduces oil splashing and splattering. 1. In a large bowl, mix flour, sugar, and salt. Use a wooden spoon to make a well or hole in the center. Pour yeast into the well and mix. Stir in milk and water. (See above for pareve preparation). 2. Add orange zest, vanilla extract, egg and brandy. Stir until the dough comes together. 3. Mix in melted butter or evoo. Transfer dough to a stand mixer or knead by hand for 10 minutes, until you get a nice firm dough. 4. Cover dough with a plastic bag or a towel and rest for 1 to 2 hours, until it doubles in size. 6. Lightly flour your work surface and roll out dough to ½-inch thick. Use a 1-inch cookie cutter or ring and cut the dough into 20 ping pong size balls (1½ ounces each). 7. Place dough balls on prepared baking sheet 1 to 2 inches apart. Cover with a towel and rise for 1 to 2 hours, until they double in size. 8. Line a baking sheet with paper towels and place a cooling rack inside or over the pan. 9. Heat 3 cups evoo in a heavy gauge frying pan over high heat. 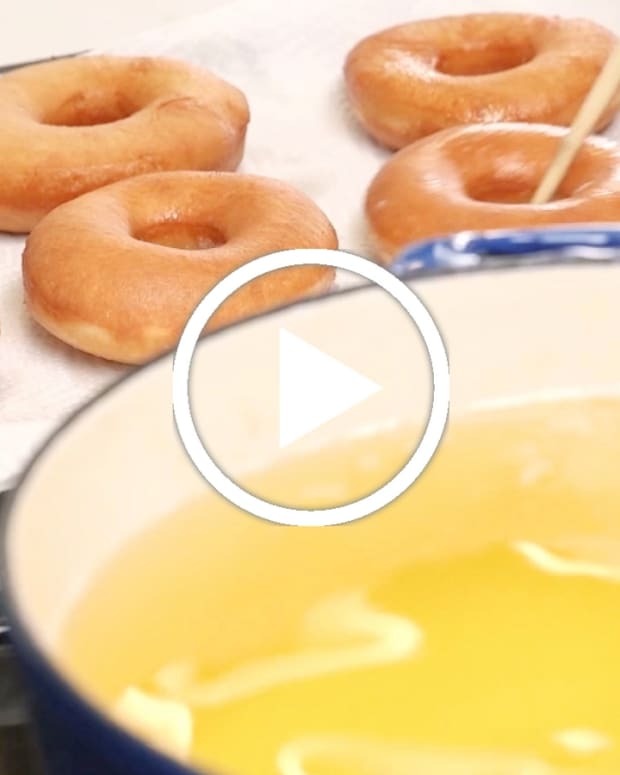 Once oil reaches 350°F when measured with a deep fry thermometer, add doughnuts, a few at a time. Fry for 2 minutes per side, until golden brown. 10. Transfer to prepared pan and cooling rack. 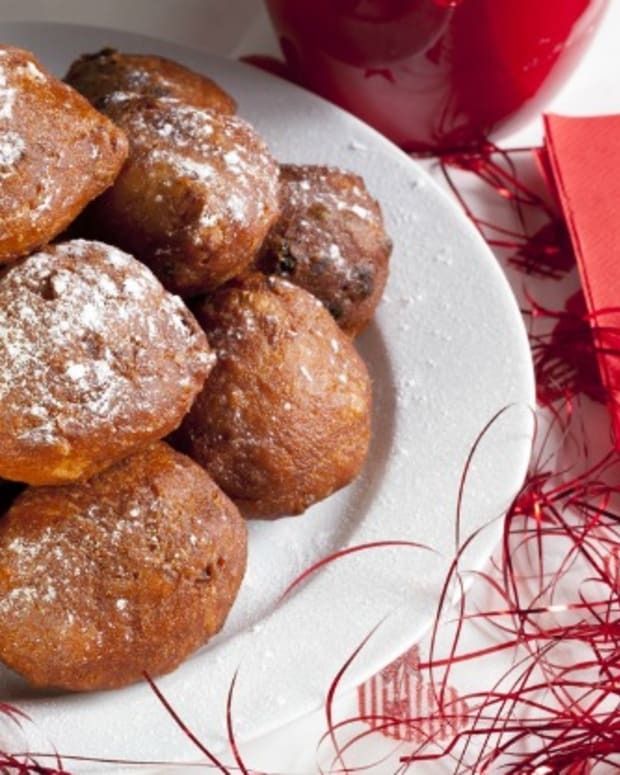 Once cool, fill with jelly or other filling and sprinkle with confectioner's sugar. This recipe was contributed from Biscotti Bakery in Israel, for more filling and topping ideas watch the video above.